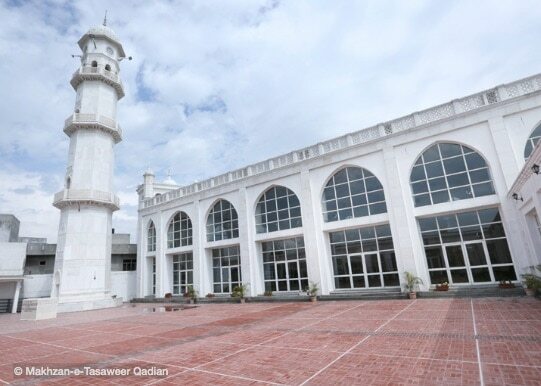 An address given by the Head of the worldwide Ahmadiyya Muslim community at the 2005 Kenya Annual Convention – Being an Ahmadi Muslim is not enough; one should sincerely follow the teachings of Islam especially in worship. Our conduct in our everyday lives and our treatment to other human beings should be exemplary. 5The Review of Religions – June 2005 Knowledge of God It is a very fine question, what is the nature of the knowledge of Almighty God through the perfection of which He is aware of the overt and the covert of every particle? It is true that reason cannot comprehend the true condition of that knowledge, yet it is entirely true to say that of all types of knowledge that can be conceived of, that knowledge is more powerful and stronger and fuller and more complete. When we observe our own ways of acquiring knowledge and consider its diverse types, we find that the greatest and most certain and most absolute of all the types of knowledge is the knowledge that we p o s s e s s concerning our own existence. No man can in any condition f o rget his own existence or entertain any doubt concerning it. So far as our reason extends, we find this type of knowledge more powerful and stronger and fuller and more complete. We find it inconsistent with the perfection of God Almighty that His knowledge with regard to His creatures should in any way be less perfect than this, inasmuch as it would be a This series sets out, in the words of the Promised Messiah(as), Hadhrat Mirza Ghulam Ahmad, a summary of his exposition of four outstanding topics: ISLAM; ALLAH, THE EXALTED; THE HOLY PROPHET(sa) and THE HOLY QUR’AN. The original compilation, in Urdu, from which these extracts have been translated into English, was collated with great care and diligence by Syed Daud Ahmad Sahib, Allah have mercy on him and reward him graciously for his great labour of love. Amin. The English rendering is by the late Sir Muhammad Zafrullah Khan, may Allah be pleased with him, and is quoted from The Essence of Islam, Volume 1. All references throughout, unless otherwise specifically mentioned, are from the Holy Qur’an. Knowledge of God – part 11 6 The Review of Religions – June 2005 default that God Almighty should not possess the highest kind of knowledge that could be conceived of and it can be objected why God’s knowledge fell short of the highest kind. Was it by His own design or by some compulsion? It could not be by His own design for no one deliberately permits a deficiency with regard to himself. Then how should God Almighty, Who loves perfection, permit such a deficiency concerning Himself? If it is said that it is by some compulsion, then it would follow that the compeller would be supreme over God Almighty in his powers and his strength, so that on account of that excess of strength he should be able to restrain God in His designs. But that is impossible in itself because nobody is supreme over God Almighty through whose obstruction He could be confronted with some com- pulsion. It is established, there- fore, that God’s knowledge is p e r f e c t . We have just now affirmed that of all types of knowledge the most perfect is that which a person has with regard to his own existence. We have there- fore to acknowledge that God’s knowledge concerning H i s creation is like that knowledge though we cannot comprehend its true nature. Our reason tells us that the most certain and absolute knowledge is that which should exclude any distance or barrier between the knower and t h a t which is to be known. That knowledge is of this type. As a man is not dependent upon other sources of knowledge in order to be aware of his own existence, to be animate and to consider oneself as an animate are so close to each other as to be identical. Such should be the knowledge of God Almighty concerning the whole universe. Here also there should be no difference a n d distance between the Knower and that which is to be known. This high quality of knowledge which God needs for the establishment of His Godhead can be predicated of Him, when it is accepted concerning Him that there is so much closeness and such relationship between KNOWLEDGE OF GOD 7The Review of Religions – June 2005 Him and the subject of His knowledge, greater than which it is not possible to imagine. This perfect relationship with the subjects of His knowledge can exist only when all of them should have proceeded from Him and should be His creation. Their being must be dependent upon His Being. In other words, when the situation should be such that the true existence should be only His and all others should have proceeded from Him and should subsist with His support. Even af- ter their creation, they should not be independent of Him, nor be separate from Him, but in truth after the creation of all things, He alone should be truly alive and all other life should have proceeded from Him and should exist only with His support. He alone should be subject to no limitation and everything else, souls as well as bodies, should be confined within the limits set by Him. He should comprehend everything; everything should be compre- hended in His Rububiyyat. There should be nothing which should not have proceeded from His hand and should not be included within His Rububiyyat, n o r should it exist without His support. 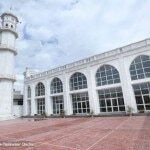 It is only in such a situation that God Almighty would have a perfect relationship with the subjects of His KNOWLEDGE OF GOD The founder of the Ahmadiyya Muslim community was Hadhrat Mirza Ghulam Ahmad(as). The founder of the Ahmadiyya Muslim community was Hadhrat Mirza Ghulam Ahmad( a s ). 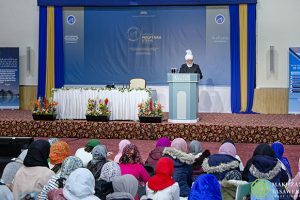 In 1891, he claimed, on the basis of Divine revelation, that he was the Promised Messiah and Mahdi whose advent had been foretold by Muhammad, the Holy Prophet of Islam( s a ) and by the scriptures of other faiths. 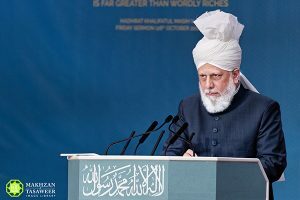 His claims constitute the basis of the beliefs of the Ahmadiyya Muslim c o m m u n i t y. 8 The Review of Religions – June 2005 knowledge. This relationship is referred in the Holy Qur’an as: …We are closer to him than even his jugular vein. (Ch.50: V.17) Similarly at another place it is said: … He is the Living, the Self- Subsisting and All- Sustaining… (Ch.2:V.256) That is to say: He alone sustains true life and everything else has proceeded from Him and has a life because of Him. In truth He is the Life of all lives and is the Power of all powers…. If the soul is not accepted as having been created, then there would be no reason to assume that someone who bears the fictitious title of Permeshwar would have any knowledge concerning the reality of the soul, whose knowledge would extend to the ultimate limits of the soul. A person who has full knowledge concerning a t h i n g has the power to make it also, and if he has not the power then his knowledge must be defective in some respect. In the absence of full knowledge, it would be d i fficult to distinguish between similar things, let alone to have the power of making them. If God Almighty is not the Creator of things then He not only suff e r s from the deficiency that His knowledge is incomplete, but it also follows that He would be subject to confusion in distinguishing between millions of souls and might often mistake the soul of X as the soul of Y. Partial knowledge often leads to such confusion. (Surma Chashm Arya, Ruhani Khaza’in, Vol. 2, pp. 221-226 footnote) It might be asked that if full comprehension of a thing implies the power to create it then, as G o d ’s knowledge of His Own Being is perfect, is He the Creator of His Own Being or has He power to create the like of Him- self? The answer to the first part is that were God Almighty the KNOWLEDGE OF GOD 9The Review of Religions – June 2005 Creator of His Own Being, it would involve His being in existence before His coming into existence and this is an i m p o s s i b i l i t y. God Almighty pos- sessing complete knowledge of His Own Being means that, in this instance, the Knower and His knowledge and that which is known are all the same and cannot be separated. There is here nothing which should be regarded as having been created. God’s knowledge of His Own Being cannot be compared to anything else. In this instance, the Knower is not something apart from that which is known so that one may be designated as the Creator and the other as creation. The proper way to put it is that His Being is uncreated and is eternally and everlastingly Self-Existing and that is the meaning of God. The second part of the objection is that God’s complete know- ledge of Himself means that He has the power to create His Own like. The answer to this is that G o d ’s power directs itself towards matters which are not inconsistent with His eternal attributes. It is true that God, if He so desires, can create that of which He has perfect knowledge, but it is correct and does not follow that whatever He has the power to do He should proceed to do without regard to His perfect attributes. In the exercise of all His powers, He has regard to His perfect attributes and He has it in mind whether that which He wills is not contradictory to His perfect attributes. For instance, He has the power to burn a pious and righteous person in the fire of Hell, but His mercy and justice and attribute of reward would stand in the way, and, therefore, He never does it. In the same way His power is never inclined to destroy Himself for this would be contrary to His eternal life. He does not create His Own like because His attributes of Unity and Peerlessness, which are eternal, prevent Him from thinking in that way. It should be understood that to be unable to do something is one thing, but despite the power to do a thing, not to address Himself to something contradictory to His attributes, is KNOWLEDGE OF GOD 10 The Review of Religions – June 2005 quite another. (Surma Chashm Arya, Ruhani Khaza’in, Vol. 2, pp. 230-233 footnote) It is characteristic of God Almighty alone to know the hidden by virtue of His personal power and His personal con- dition. From ancient times, those who based themselves upon truth have believed that it is proper for God Almighty that He should know the hidden. This is a personal speciality of His. He has no associate in this attribute as He has no associate in His other attributes. It is, therefore, impossible for anyone to have personal knowledge of the hidden whether he is a Prophet or Muhaddath or Wali. It is true, h o w e v e r, that favourites and chosen ones are given knowledge of hidden mysteries through revelation. This has been so since ancient times and continues today, but such experience is now confined to the followers of the Holy P r o p h e t( s a ). (Tasdiq-un-Nabi, pp.26-27 or Maktubat-e-Ahmadiyya, Vol. 3, p.57) Our Ever-Living and All- Sustaining God talks to me like one person talks to another. I ask Him something and supplicate Him and He answers in words full of power. If this should happen a thousand times, He would not fail to answer. In His words He discloses wonderful hidden matters and displays scenes of extraordinary powers till He makes it clear that He alone is the One Who should be called God. He accepts prayers and intimates their acceptance. He resolves great difficulties and through repeated supplications revives those who are sick and very nearly dead. He discloses all these designs of His in advance through His words which relate to future events. He proves that He is the God of heaven and earth. He addressed me and told me that He would safeguard me against death by plague and all those who dwell in my house in piety and righteousness. Who else is there in this age except myself who has published such a revelation and disclosed God’s promise concerning the members of his KNOWLEDGE OF GOD 11The Review of Religions – June 2005 family and other pious people who dwell within his house? (Naseem-e-Da’wat, Ruhani Khaza’in, Vol. 19, pp. 448-449) Among the natural conditions of man, is the search for a Higher Being for Whom there is an attraction in his heart of hearts. The effect of that search begins to be felt as soon as a child is born. As soon as it is born, it exhibits a spiritual characteristic which is that it leans towards its mother and entertains a natural a ffection for her. As its senses develop and the flower of its nature blooms, this attraction of love, which is inherent in it, begins to exhibit itself patently. It finds no comfort anywhere except in the lap of its mother. If it is separated from its mother and is put at a distance from her, its life becomes bitter, and though a heap of bounties may be placed before it, it finds its true comfort only in its mother’s lap and nowhere else. Then what is this attraction that it feels towards its mother? In truth, it is the same attraction which is vested in a child’s nature for God. Every exhibition of affection by a person in fact proceeds from that very attraction, and the restlessness of a lover which a person expe- riences is in truth a reflection of that very love, as if he takes up diverse things and examines them in search for something that he has lost and whose name he has forgotten. A person’s love of property, or children, or wife, or his soul being drawn towards the song of a sweet voiced singer, are in fact all in search of the lost Beloved. As man cannot per- ceive with his physical eyes the Imperceptible Being Who is latent in everyone like fire and yet is hidden from everyone, nor can he find Him through the exercise of his imperfect reason, he has been subject to many errors in his understanding of Him and through his errors he renders to others that which is His due. God Almighty has mentioned an excellent illus- tration in the Holy Qur’an that the world is like a great hall paved smooth with slabs of glass KNOWLEDGE OF GOD 12 The Review of Religions – June 2005 and a current of water flows underneath them which runs very fast. A person looking at the slabs of glass wrongly imagines them to be water also and is afraid of walking upon them as he would be afraid of walking upon water, though in reality they are only glass but very clear and transparent. Thus, these great objects in heaven like the sun and the moon etc. are transparent like glass and are worshipped by mistake. Behind them, there is a Higher Power at work which is flowing swiftly like water. It is the mistake of those who worship created things that they attribute to the glass all this activity which is being manifested by the Power behind it. This is the explanation of the verse: .. ‘It is a palace paved smooth with slabs of glass’… (Ch.27:V.45) As the Being of God Almighty, despite its brightness, is h i d d e n beyond sight, the physical universe is not adequate for its true recognition. This is the reason why those who depended upon the physical system despite their careful consideration of its perfect orderliness which comprehends hundreds of wonders within itself, and despite their pursuit of astronomy and physics and philosophy to a degree which shows that they had penetrated through heaven and earth, could not get rid of their doubts and suspicions and became involved in all types of errors and wandered far afield chasing their imaginary will-o’-the- w i s p. If they thought of the Being of the Creator, they proceeded only thus far that observing the great orderliness of the wise system they imagined that it should have a C r e a t o r. It is obvious, however, that this idea is incomplete and this under-standing is imperfect, for to say that this system needs a God is not equal to saying that God in fact exists. This was only their conjectural understandi n g which cannot bestow satis- faction and contentment upon the heart, nor can it altogether remove doubts. This is not a cup which could quench the thirst KNOWLEDGE OF GOD 13The Review of Religions – June 2005 of complete u n d e r s t a n d i n g which is inherent in man’s nature. In fact, such imperfect understanding is very dangerous, for after a great deal of noise it leads to nothing. So long as God Almighty does not affirm His Existence by His word, as indeed He has done, the mere observation of His handiwork does not aff o r d satisfaction. For instance, if we see a room which is bolted from the inside, our first reaction would be that there is someone inside who has put up the bolts for it is impossible to put up the bolts from the outside. But if over a long period no one from inside should respond to repeated calls, we would have to abandon our assumption that there is someone inside and we would imagine that there is no one inside and that the bolts have been put up through some clever device. This is the case of the philosophers whose understand- ing does not go beyond the observation of God’s work. It is a great mistake to imagine that God is like a corpse which has to be brought out of its grave by man. If God has to be discovered through human effort, all our hopes of such a God are vain. Indeed God is the Being Who has ever called mankind to Himself by announcing: I am present. It would be impertinence to imagine that man has laid Him under an obligation through his understanding of Him and that if there had been no philosophers He would have remained unknown. It is another imper- tinence to enquire whether God has a tongue wherewith He can speak. Has He not created all heavenly bodies and the earth without physical hands? Does He not see the whole world without physical eyes? Does He not hear us without physical ears? Was it then not necessary that He should also speak? It is not at all correct to say that all God’s speaking has been left behind and that there is nothing in future. We c a n n o t seal up His words and His speech in any age. Wi t h o u t doubt, He is ready to enrich the KNOWLEDGE OF GOD 14 The Review of Religions – June 2005 seekers from the fountain of revelation as He used to do before. The gates of His grace are as open today as they were at any time. 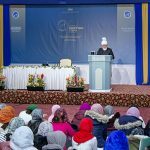 It is true, however, that the needs for law and limitations having b e e n fulfilled, all M e s s e n g e r s h i p s and Prophethoods found their perfection at their last point, which was the person of our lord and master, the Holy Prophet( s a ). (Islami Usu l ki Philosophy, RuhaniKhaza’in, Vol. 10, pp. 363- 367) True knowledge of God depends upon this that we should reach the Living God Who speaks clearly to His favourites and bestows satis- faction and contentment upon them with His Majestic and delicious speech. He speaks to them as one man speaks to another and converses with them as a certainty that is beyond doubt or suspicion. He listens to them and responds to them and hearing their supplications He informs them of their acceptance. He proves to them that He is God on the one side by His majestic and delicious words, and on the other side, by His miraculous works and His Powerful and Mighty signs. To begin with, by way of prophecy He promises them His support and help and special guidance and then on the other side, in order to augment the greatness of His promises, He causes a whole world to oppose them. Those people use all their power and their deceit and all their devices to frustrate God’s promises of support and help and supremacy which He makes to His favourites, but God brings to naught all their e fforts. They sow mischief and God uproots it. They kindle a fire and God puts it out. They put forth their utmost efforts and God turns their designs against them. The righteous ones of God are simple and straightforward and in the presence of God Almighty they are like children in the lap of their mother. The world opposes them because they are not of the world. All sorts of plans and KNOWLEDGE OF GOD 15The Review of Religions – June 2005 devices are resorted to in order to destroy them. Peoples combine to put them to trouble, and all unworthy ones shoot arrows at them from the same bow, and all manner of calumnies and charges are invented against them, so that somehow they might be destroyed and all signs of them might be wiped off, but God Almighty fulfils His words all through their lives. They are hon- oured with God’s true word which is clear and conclusive, and they are given knowledge of hidden matters, which is beyond the power of man, through the clear word of God, the Mighty and Powerful. On the other hand, through miraculous events which establish the truth of that which they had been told, their faith is strengthened and is further illumined. Whatever need man’s nature feels, it has of understanding for the purpose of the certain recognition of God, that need is filled is imparted through verbal and factual manifestation of the Divine so that not a particle of darkness is left. This is the God through Whose verbal and factual manifestations, which comprise thou-sands of bounties and affect the heart p o w e r f u l l y, a person acquires a living faith and a true and holy relationship is established with God, which removes all personal dirt; and all weakness being excluded, inner darkness is dispelled by the fierce rays of heavenly light and a wonderful change is manifested. Therefore, the religion which does not present God as possessing these attributes and confines faith to ancient tales and fables and such matters as are not seen or heard, is certainly not a true religion. To follow such a fictitious god is like expecting a corpse to work like living beings. A god who does not prove his own existence afresh every time is as if he does not exist. He is like an idol which neither speaks nor hears nor answers questions, nor can he manifest his power in such a manner that even a confirmed atheist should not be able to doubt it. 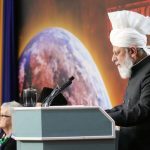 (Ba r a h i n-e-Ahmadiyya, Part V, Ruhani Khaza’in, Vol. 21, pp.31-32) KNOWLEDGE OF GOD 16 The Review of Religions – June 2005 OBJECTION: It is disrespectful to affirm that God speaks to man. What relationship can subsist between a mortal and the Eternal and Ever-Existing? What resem- blance can there be between a handful of dust and Light itself? ANSWER: This is a baseless objection. To meet it, it is enough to understand that the Noble and Gracious God has inspired the hearts of perfect human beings with untold eagerness for His own understanding, and has drawn them so powerfully to His love, affection and devotion that they have been lost to their own selves. To propose in such a case that God would not desire to converse with them would be tantamount to saying that all their love and devotion are vain and that all their eagerness is only one-sided. Such a notion is utter nonsense. Can a seeker of One Who bestowed upon man the capacity to win nearness to Him and made him restless with His own love be deprived of the grace of converse with Him? Can it be true that to be lost entirely in the love of God is both possible and detracts nothing from God’s dignity, but that the descent of revelation upon the heart of His true lover is impossible and improper and detracts from God’s dignity? Man’s plunging into the limitless ocean of God’s love and stopping nowhere in that pursuit, is conclusive evidence that man’s wonderful soul has been fashioned for the understanding of God. If it is not bestowed the means of perfect understanding, which is reve- lation, it would have to be said KNOWLEDGE OF GOD The righteous ones of God are simple and straightforward and in the presence of God Almighty they are like children in the lap of their mother. The world opposes them because they are not of the world. All sorts of plans and devices are resorted to in order to destroy them. 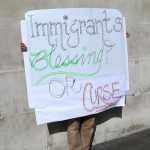 ‘ ’ 17The Review of Religions – June 2005 that God did not fashion him for His own understanding. Even the Brahmo Samajists do not deny that the soul of a man who possesses a true nature is hungry and thirsty for the understanding of God. When it is agreed that a true man naturally seeks understanding of God, and it is established that the perfect manner of the under- standing of the Divine is Divine revelation and nothing else, then if that means is impossible of attainment and to seek it is disrespectful, God’s wisdom would be open to the criticism that He bestowed upon man eagerness for His Own under- standing but did not bestow upon him the means of acquiring such understanding. In other words, He afflicted man with hunger b u t would not bestow upon him bread enough to satisfy his hunger, or that He afflicted man with thirst, but would not bestow upon him water enough to quench his t h i r s t . Wise people will understand that such a notion amounts to failure to appreciate God’s great mercies. It is a strange logic of the Brahmo Samajists which proposes that the All-Wise Who has made it the good fortune of man that he should be able to witness to the full the rays of Godhead in this very life, so that he should be drawn towards God by this powerful attraction, that that Gracious and Compassionate One does not desire man to arrive at his needed good fortune and at his natural goal. (Barahin-e-Ahmadiyya, Ruhani Khaza’in, Vol. I pp. 230-232, footnote 11) Whatever God has desired for man, He has in advance invested him with all the faculties that were needed for its achievement. For instance, the human soul possesses a capacity for love. A person through error might love another person and might choose someone as the object of his love, but sane reason can easily understand that this capacity for love has been vested in his soul so that he should love his true Beloved Who is his God, with his whole heart and his whole power and his whole eagerness. KNOWLEDGE OF GOD 18 The Review of Religions – June 2005 Can we say that this capacity for love, which is vested in the human soul, and whose surge is limitless and at whose height man is ready to lay down his life, is inherent in the soul from the beginning? If God has not created this relationship between man and Himself by vesting the capacity for love in the human soul then this capacity is a matter of chance; that by the good fortune of Permeshwar souls were inspired with the capacity for love and that if the chance had been otherwise and this capacity had not been found in the souls, nobody would have ever turned his attention to Per- meshwar. Nor could Permeshwar have devised any plan in this behalf. But it should be considered that the demand of Permeshwar for His own worship and for righteous ac- tion proves that He has Himself invested the human soul with the capacity for love and obedience. He, therefore, desires that man in whom He has vested these capacities should devote himself to His love and obedience; otherwise, how can Permeshwar desire that people should love Him and should obey Him and should act in accordance with His will. (Naseem-e-Da`wat, Ruhani Khaza’in, Vol.19, pp. 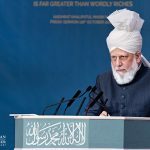 385-386) KNOWLEDGE OF GOD In this journal, for the ease of non-Muslim readers, ‘(sa)’ or ‘sa’ after the words, ‘Holy Prophet’, or the name ‘Muhammad’, are used. They stand for ‘Sallallahu ‘alaihi wa sallam’ meaning ‘Peace and blessings of Allah be upon him’. Likewise, the letters ‘(as)’ or ‘as’ after the name of all other prophets is an abbreviation meaning ‘Peace be upon him’ derived from ‘Alaihis salatu wassalam’ for the respect a Muslim reader utters. The abbreviation ‘ra’ or (ra) stands for ‘Radhiallahu Ta’ala anhu and is used for Companions of a Prophet, meaning Allah be pleased with him or her (when followed by the relevant Arabic pronoun). Finally, ‘ru’ or (ru) for Rahemahullahu Ta ’ a l a means the Mercy of Allah the Exalted be upon him.